The new 2016 Honda Civic EX-T with Honda Sensing jumps to the head of the class due in large part to its tiny turbocharged engine. 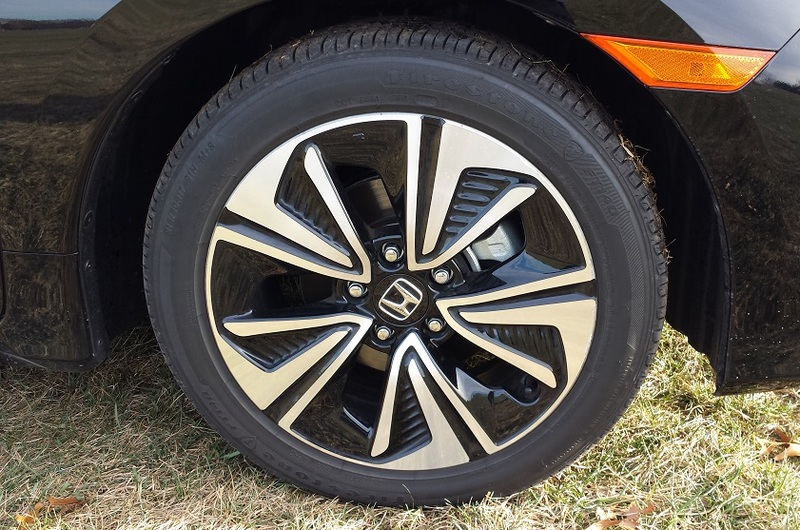 At just $23,200 (plus $835 destination charge) the new 2016 Honda Civic EX-T is a phenomenal value. This vehicle is no longer small. Although considered a compact car, it is wide, low, and long. 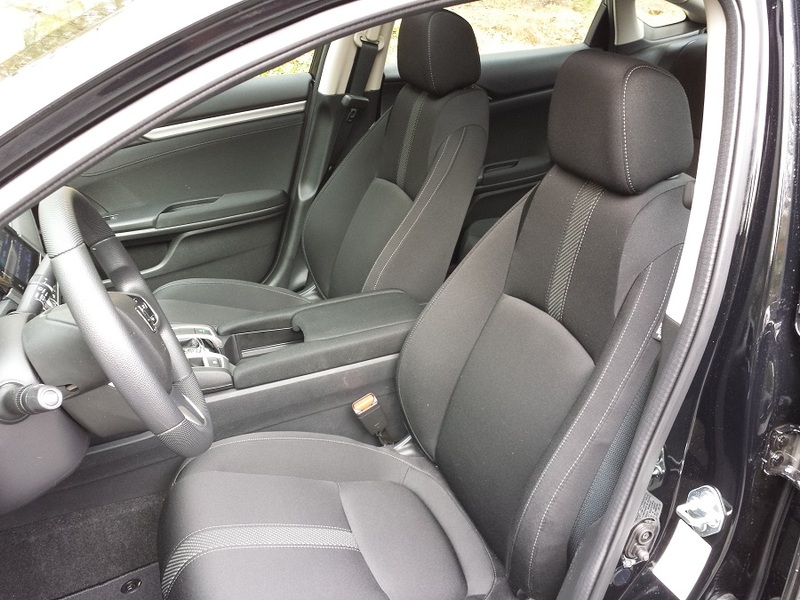 Inside, it is roomy and airy in front and comfortable for adults in back. However, what really knocked our socks off was the power and handling this new Honda Civic EX-T with its all-new turbocharged engine. The Mazda3 is sporty and fun to drive, and the Toyota Corolla offers great value, space and fuel economy, but the this new Civic tops them both at what they do best. I’m a Civic fan from back before the internet. My first new car purchase was a 1992 Civic Si (the first Honda car with a VTEC engine). For a long time, Civics featured optional engines that were basically weaklings until about 5,000 RPM. Then, their variable valve timing came alive, and power would leap. The cars worked very well with stick shifts because without a manual transmission the engines were impossible to keep in the power band. Like BMW, Honda is moving away from the engine type that defined it. In the case of Honda, I say this is a smart move. People like me that like to rev the bejeezus out of cars at every stoplight are rare. Most just want to be comfortable on the way to work and want the car to respond when they give it gas. This new turbocharged four cylinder provides 174hp and 162 lb-ft. of torque. It pulls strongly from about 1,750 RPM and keeps pulling until its continuously variable transmission (CVT) decides you’re done. That’s right, no stick shift is offered with the turbocharged Civic for 2016. If you want a stick, you can either buy the base Civic with its 2.0-liter, with just 158 hp and low torque, or you can opt to get a Civic Si, which Honda now markets separately from the rest of the Civic line. I am a full convert to the CVT, at least in this type of car. I hated them when they first appeared, but over time they have changed, and I have learned to see their value in family cars and crossovers. Of course, there is more involvement in a stick shift, and I am betting Honda will couple the stick with this engine at some point. But given the choice of a weak engine and a stick or this gutsy one with a CVT, I am certain 99% of buyers would choose the turbo. One benefit of the CVT and the small turbo is fuel economy. Using regular unleaded gas (hurray!) 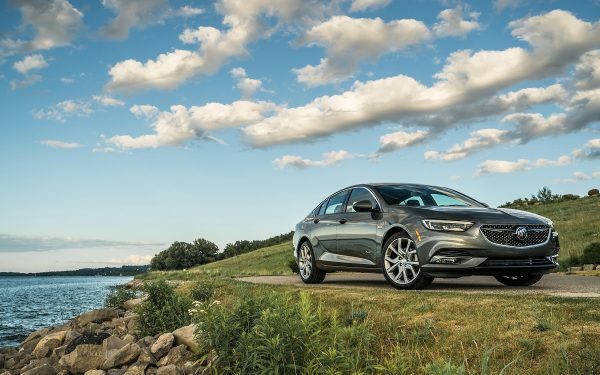 this turbocharged 1.5-liter engine is not just more powerful than the 2.0-liter Civic engine, it also matches the combined 35 MPG of the less powerful engine and gets one MPG better highway mileage at 42 MPG. City mileage is EPA rated at 31 MPG. Testing in mixed suburban and highway driving yielded 40 MPG. With gas at $1.99, that means this car costs five cents per mile in energy. That is less per mile than an electric car would cost to operate here in Massachusetts. The 1.5T Civic’s green-car credibility is also impressive. The 252 grams per mile of CO2 the Honda Civic EX-T generates is lower than the 2.0-liter powered Civic Si, and it also scores an eight on the EPA’s smog rating vs. the seven that the 2.0-liter rates (higher is better). The small turbo is better in every subjective and objective way. This new engine and transmission from Honda in the Civic matches the Toyota Corolla LE Eco in combined and highway MPG and is better in the city. And did I mention it is waaaay more powerful and fun to drive? I think I might have. 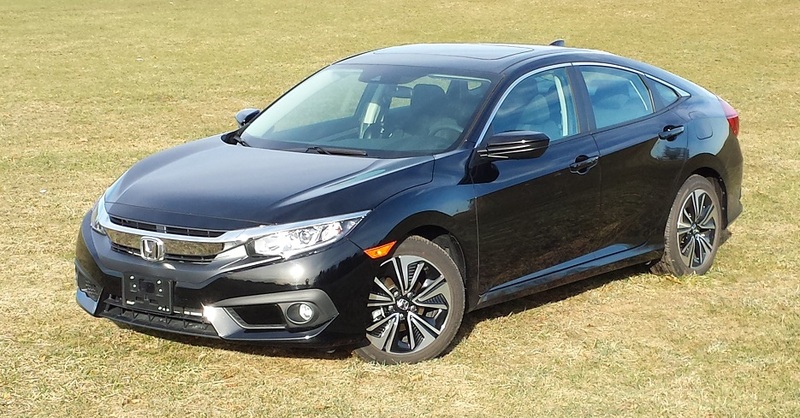 If you are wondering how the 2016 Honda Civic EX-T with the CVT compares to the current 2015 Civic Si with its stick shift from zero to 60 mph, our research of multiple instrument tests says that the new Honda Civic EX-T will hit sixty in about 6.8 seconds, and the Si in about 6.5 seconds. In the real world, that is basically a tie. Imagine what $500 and a visit to a tuner could do with this small turbo. I loved the ride quality of the Honda Civic EX-T. It handles bumps well and is comfortable over bad roads (all roads). However, when you turn into a corner with purpose, it is sharp and fun to steer. The brake feel is just right as well. Honda nailed this new 10th-generation Civic. The result is a car that around town is fun to drive. On the highway, the Civic is steady and can pass briskly in any situation. The dynamic cruise control is easy to set and adjust. The Civic tracks straight and true, and its fantastic Lane Keeping Assist System means that you can always be in the center of your lane with zero effort. This is almost autopilot. I never liked the old two-level Civic display. This 2016 Honda Civic EX-T adopts the company’s single infotainment touch-screen, and this is an improvement. Overall, it is easy to use and practical, however there is no volume knob and no “tuner” knob. Yes, I can and do control the volume and preset stations via the steering wheel mounted controls, but a volume knob belongs in every vehicle. A tuner knob is less important, buy why not have it? Our test vehicle lacked leather seats and power adjustment, but these are both available on slightly more expensive trims. The cloth seats our tester had were warmed by heaters. The best combination in cold New England weather. The Civic aced all its crash tests in 2015, but yet again, you’ll need to purchase an option to achieve top ratings. Choosing the Honda Civic EX-T with Honda Sensing adds $1,000 to the cost of a Honda Civic EX-T, and offers Forward Collision Warning, Collision Mitigation Braking System, Road Departure Mitigation System, Lane Departure Warning, Lane Keeping Assist System and Adaptive Cruise Control. All this equipment helped the Honda Civic earn the Top Safety Pick Plus designation from IIHS, the industry’s top safety rating. With its good size and top scores, this may well be among the safest cars in the compact class at any price. That leads up to value. 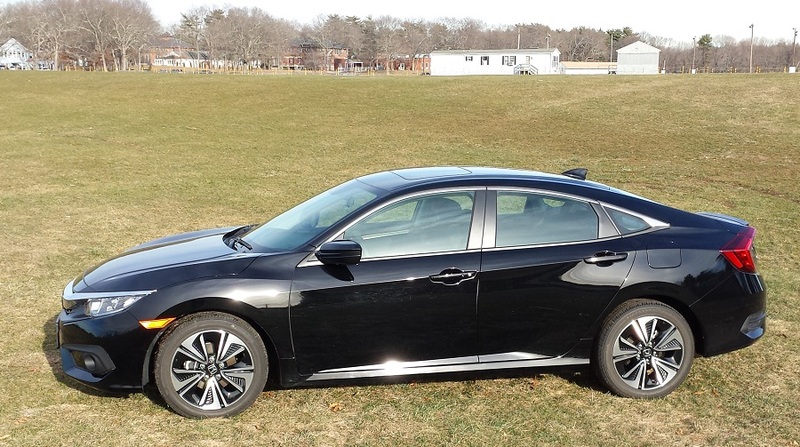 At under $24K with all of the advanced active safety and adaptive cruise control features included this new Civic matches the value of the Subaru Impreza. It also blows away the value of compact and subcompact crossovers. Maybe the small family car isn’t dead after all. This new Civic stands out in a class in which all the cars are amazing values. 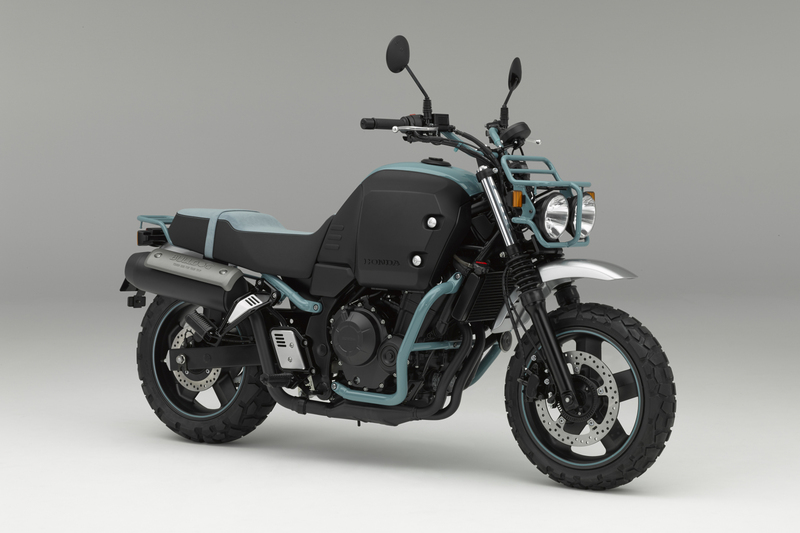 Honda deserves kudos for having the guts to move away from its older engine styles. 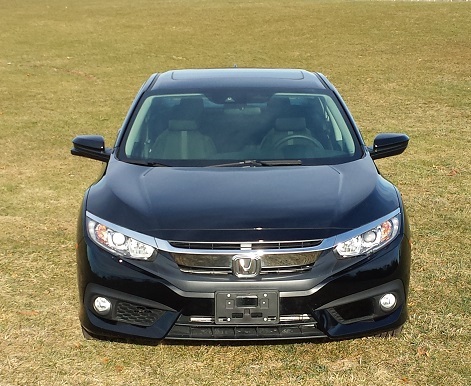 This 2016 Honda Civic EX-T with Honda Sensing limited the amenities a bit. However, one can buy a loaded Civic with this engine for about $26,000. 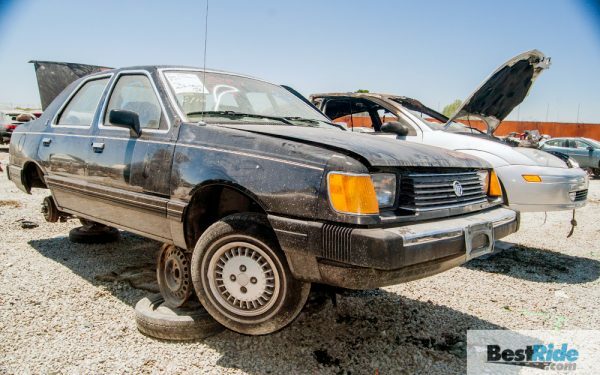 That car may be the best compact sedan in the market under $35K.